Historically, the rise of the automobile industry was a great boon for steel manufacturers in the United States. This partnership is a great fit because steel enables automakers to meet their constantly changing demands for vehicle strength and safety at costs more affordable than other metals. Not only have automobile manufacturers’ requirements changed over time, even standard single vehicle design has different requirements for front-end crashes and side collisions. 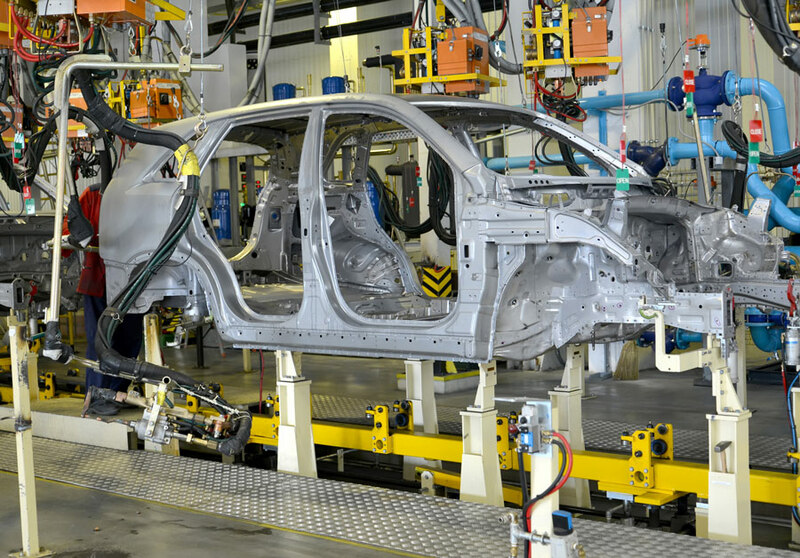 The steel industry has consistently responded effectively to the needs of automakers. The challenge to create lighter, more fuel efficient automobiles is not a new one. But regulatory requirements continue to drive innovation for not just automobile design and manufacture, but materials design as well. Finding and designing with materials to reduce vehicle weight is extremely important to automakers. However, weight reduction can potentially increase costs significantly. On average, steel still accounts for over 60% of an automobile’s weight. But that percentage is likely to drop. Steel faces competition from lighter materials such as aluminum and plastic composites like manganese. However, steel is a less expensive metal than aluminum; and plastics are even more expensive than aluminum. So, as the use of those materials increases, which it has, vehicle cost goes up as well. Competition in this area is very intense. The steel industry has an opportunity to meet this competition brought on by new and changing regulatory requirements. For many years, the North American steel industry has invested significantly in the development of new advanced high-strength steel (AHSS). Because these innovative steel grades require less material to manufacture, they positively impact greenhouse gas emissions from other aspects of the vehicle life-cycle including manufacture, vehicle use, and recycling. The partnership between the steel and automobile industries has been long and profitable. In spite of recent challenges, the steel industry looks poised for success.